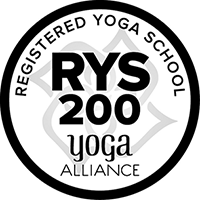 Realize your dream to teach yoga and expand your knowledge and practice. If you are curious to learn more about the practical and philosophical application of yoga, Cat’s teacher training is for you! This is a magical and well rounded program for aspiring instructors. Anatomy and physiology along with its application to yoga practice (benefits, contraindications, healthy movement patterns, etc.). The study of yoga philosophies and traditional texts (such as the Yoga Sutras, Hatha Yoga Pradipika or Bhagavad Gita). Understanding the value of teaching yoga as a service and being of service to others (seva). Learn how to communicate as a teacher. Establish skills such as group dynamics, time management, priorities and boundaries. Principles of demonstration, observation, assisting and enhancing. Exploring traditional and modern teaching styles. The student learning process & connecting with individuals. Receiving and giving feedback & observing others teaching. The art of assisting & enhancements. Introduction and exploration of asana, pranayam, kriya, mantra, meditation and traditional yoga techniques. Analytical training; how to teach technique and skill development. Guided practice of Yoga techniques with hands on correction, adjustment and practice, practice, practice! Owning a yoga studio or small yoga business. Creating a schedule and finding balance. Pricing (workshops, classes, privates, etc). Marketing (social media, website, etc).